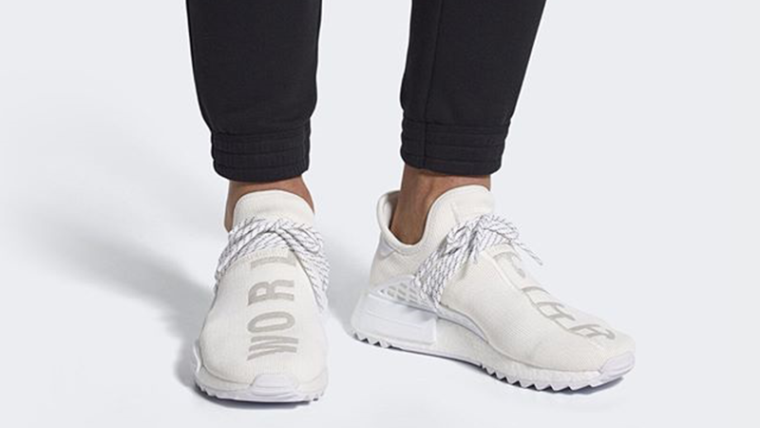 The perennially popular Pharrrell Williams NMD Hu continues it’s releases with a clean all white “blank canvas” colorway. This clean white NMD Trail colorway takes inspiration from the Hindu Holi Festival which celebrates the arrival of spring. 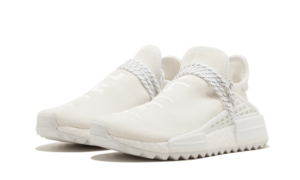 The Blank Canvas NMD is part of a collection that includes a Tennis Hu, Stan Smith Hu and Track Jacket as well. The fakes have been circulating for quite a while so be very very cautions about paying for “early pairs”.